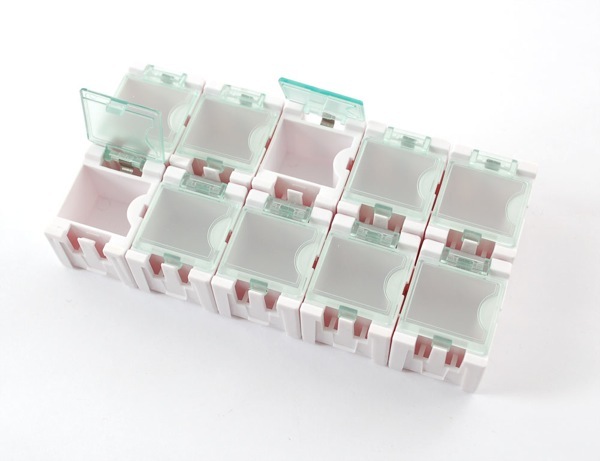 STOCKING STUFFERS FOR ENGINEERS – Modular snap-together boxes, these are awesome « Adafruit Industries – Makers, hackers, artists, designers and engineers! 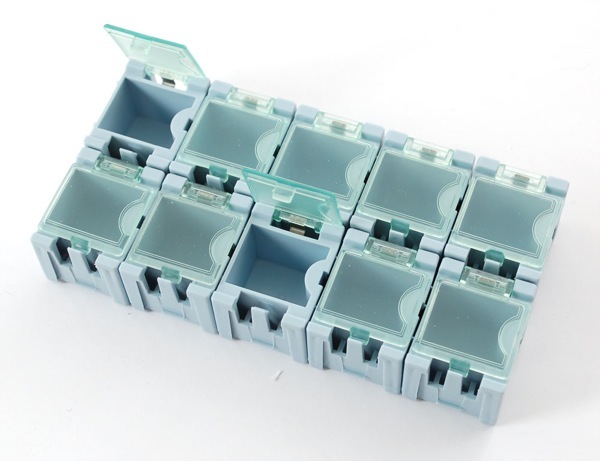 STOCKING STUFFERS FOR ENGINEERS – Modular snap-together boxes, these are awesome. 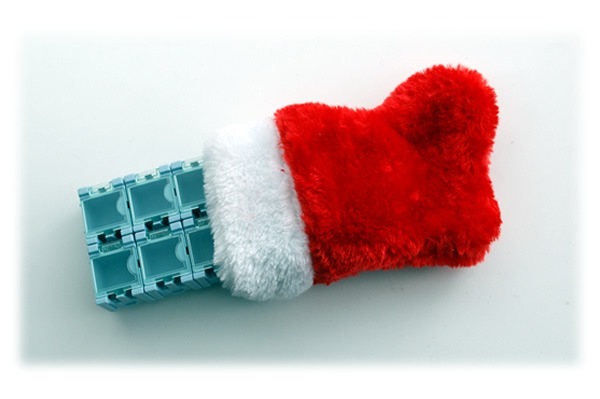 We’re going to have a stocking stuffer-per-day post now until the holidays. Here is today’s suggestion! We sold out fast when we first got these in, but we just received another shipment of these awesome snap-together boxes. 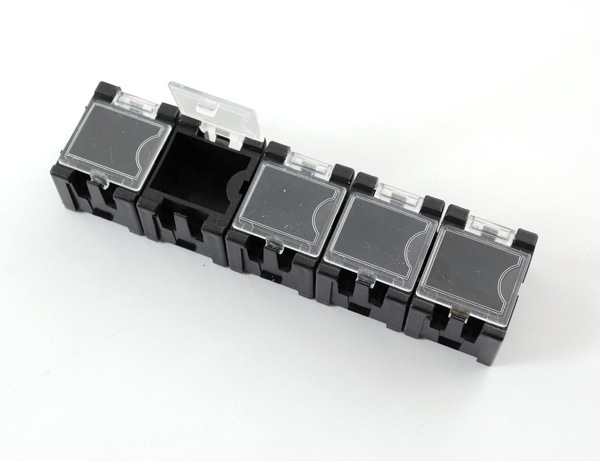 Perfect for all your electronic component storage needs! 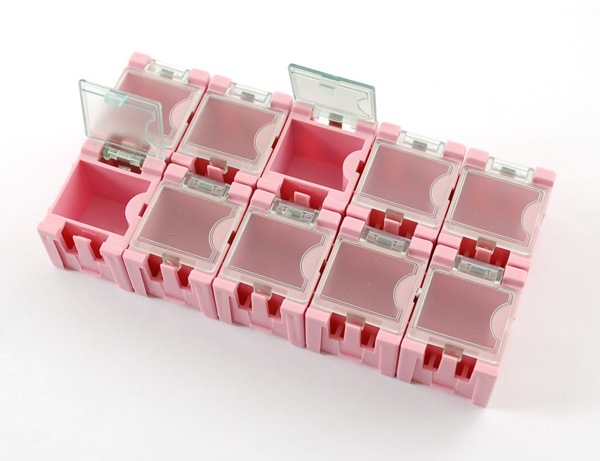 BACK IN STOCK- Modular snap-together boxes, these are awesome. Got OCD? SMD? You need these boxes! 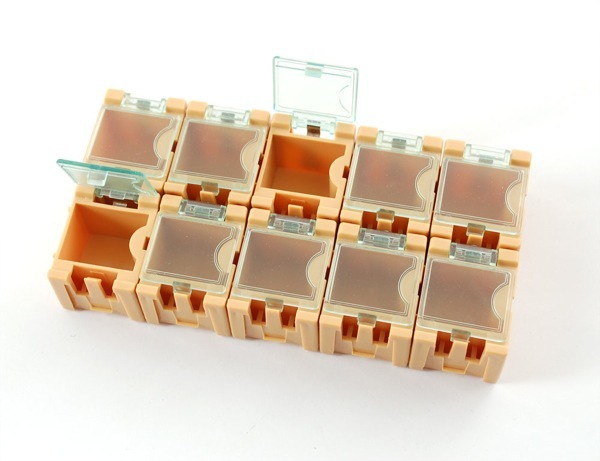 For storing small parts (especially SMT/SMD components), these little modular boxes are ideal. They have individual clear pop-open covers so you can keep only the ones you want open – less risk of mixing up parts or having a spill. 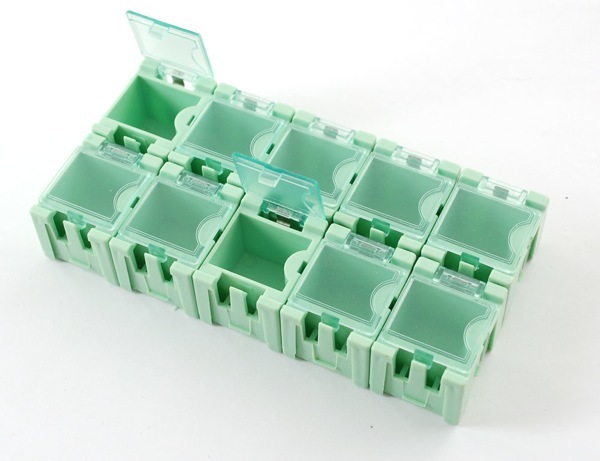 The brilliance of these boxes is that they also snap together, in any configuration you want. 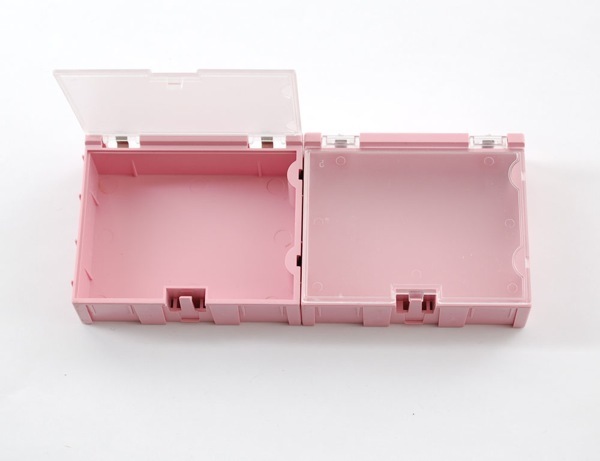 You can mix all the sizes to make the ideal box for your needs, and add on more containers as necessary. 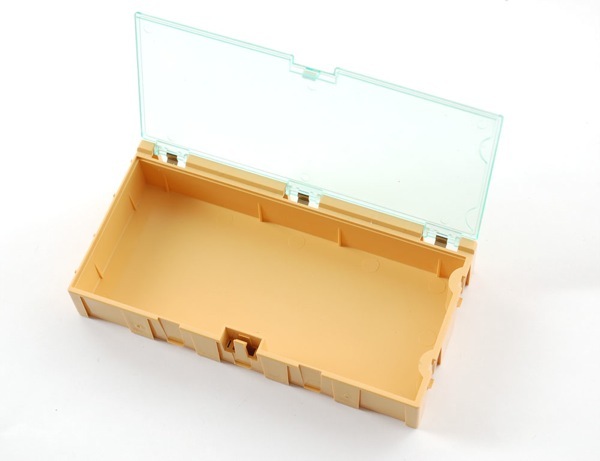 There’s a leaf-spring hinged top that will last much longer than an all-plastic molded top. 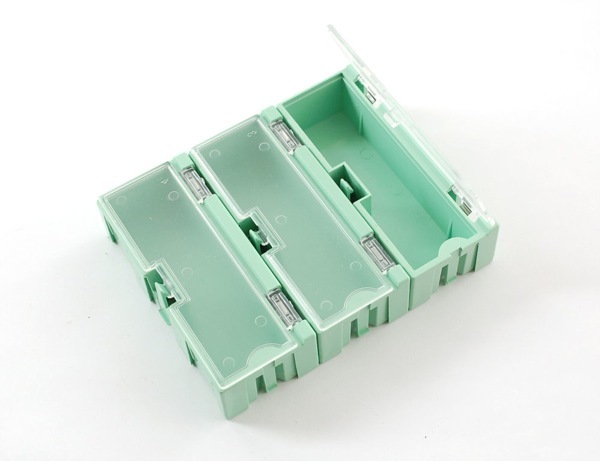 Tiny boxes for SMD! In every color of the pastel rainbow! The photo reminds me of the game “Operation”, which reminds me of that awesome video Carol Riley did of the DaVinci robot playing said game. 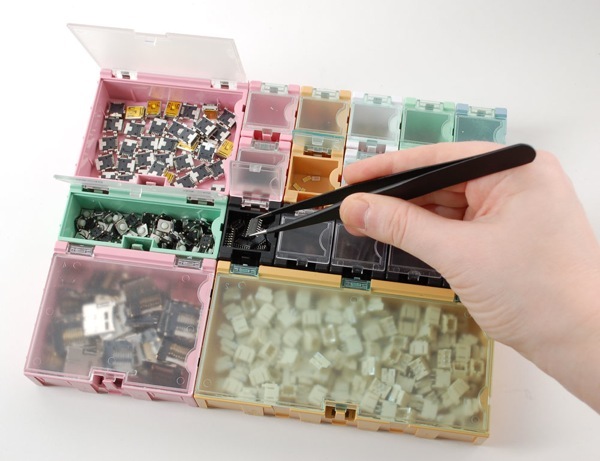 It would be neat to see the DaVinci bot picking components out of these little bins and dropping them on a board.